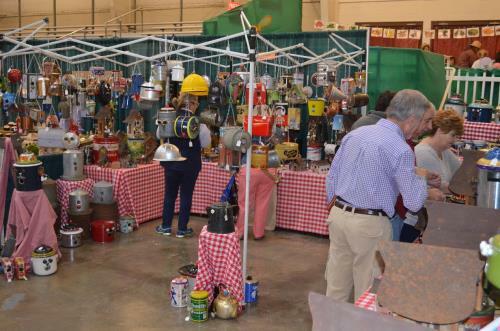 The Master Gardeners of Hamilton County, in association with the University of Tennessee Extension, present their 7th annual “Master Your Garden” Garden Expo on Saturday from 10 a.m.-6 p.m., and Sunday from 10 a.m.-5 p.m., at Camp Jordan Arena, 323 Camp Jordan Pkwy. Admission is $10 (cash or check only) and is good for both days. Children under 12 are free. Free parking is available. Proceeds from the 7th Annual Expo help fund MGHC scholarships for Agricultural and Horticultural students in Tennessee. For more information, go to: http://mghc.org/garden-expo/. 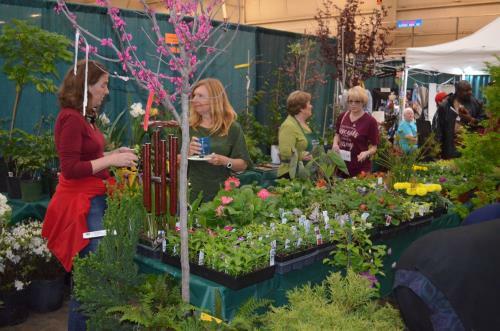 Focusing on gardening and the outdoors, MGHC’s “Master Your Garden” Garden Expo brings together a wide-ranging array of exhibits, demonstrations, educational activities, and vendors of interest to experienced gardeners, gardening enthusiasts, browsers, and children. Carol Mathews, 2019 Garden Expo chair, said, “For this year’s Expo, we are thrilled to have as our featured speaker Robert 'Buddy' Lee, developer of the popular Encore Azalea. Sponsored by Southern Living Plants, Lee will be presenting three talks throughout the 2 day Expo: Easy Steps to Grow Beautiful Azaleas; New, Better, Yours – Plant the Best Plants This Spring; and Trialed and Trusted Plants, Distinctly Southern. 3 Talks by Robert “Buddy” Lee, developer of the Encore Azalea: Saturday: Easy Steps to Grow Beautiful Azaleas and New, Better, Yours – Plant the Best Plants This Spring; Sunday: Trialed and Trusted Plants, Distinctly Southern. 11 Talks presented by local and out-of-town experts: Saturday: Hardscape: Your Key to Outdoor Living; Sprouting Kids with Deep Roots for Gardening; Native Plants: Why It Matters; Growing Vegetables in Containers; Propagation 101; Shade Gardening. Sunday: Pesticides: How, What, When to Use; Fascinating Iris; Straw Bale Gardening; Propagation 102; Why Daylilies? Vendors and Exhibitors featuring: live plants, including flowers, shrubs and trees; landscaping and gardening and home supplies; as well as, foods, nature-related jewelry and artwork. Art & Jewelry: Algie’s Vintage Birdhouses, Carl’s Copper, Claire Creations, Enchanted Earth Ocean Art, Full Circle Candles, Linda Fraser Botanical Artist, Nature’s Legacy, Ozark Lake Copper Garden Art, Stone House Jewelry, StoneLink Designs, Unique Seagrass Baskets, Yard Critters. Body Care & Edibles: Angel Skin Body Care, Dixie Dreams Farm, Essentially Green, Jake’s Fresh Market & Cannery, The Mad Scientist Lotion Candles, Miss Ginny’s English Toffee, Molly’s Sweet Shop, Momma Leslie’s Kitchen, Philip & Cindy’s Natural Teas, Spices, Herbs & Honey, Rosemary Knoll Eatable Delights, Young Living Essential Oils. Home & Garden: Beaty Fertilizer, Elevated Mini Gardens, Groundscape Concepts, Ironwood Tools, Leaf Filter Gutter Protection, The OrnaMentor. Landscaping & Plants: 2 Angels Mushroom Farm, Bethlehem Gardens, The Blueberry Farm, Brocks Greenhouses, Bursting Blooms Landscape & Design, Cumberland Plants, Custom Landscape & Design, Down to Earth, The Funny Farm, Gospel Urban Farmer, Green Thumbs Galore, Homescape Pros, Maple Hills Nursery, The Orchid Gallery, Rare Trees, Rising Fawn Nursery, River Rock Gardens, Rustic Greenhouse, Sleepy Hollow Herb Farm. Wildlife: Happinest Wildlife Rehab & Rescue. Local Groups: Chattanooga Area Food Bank, Chattanooga Herbies, Tennessee Valley BeeKeeper Association, Tennessee Valley Bonsai Society, Tennessee Valley Wild Ones, Tri-State Rose Society. Children’s Area (ages 2 to 12): Budding gardeners can engage in hands-on, gardening related activities with a fun project to take home. Master Gardener Q & A Table: “We Teach You How!” Master Gardeners provide expert advice on maintaining an attractive and productive garden. Master Gardener Booth: “Who are the Master Gardeners?” Information about Master Gardener events and classes. Plus, Caladium and Canna bulbs for sale. Silent Auction (Saturday): Items donated by Expo sponsors, vendors, and Master Gardeners.